Best of the week: all the news and reviews 17.01.14 | What Hi-Fi? The best of the news and reviews on whathifi.com this week including the latest products form AKG, Bose, Canton and Panasonic. 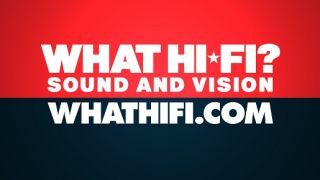 This week on whathifi.com we've covered the latest product launches with Panasonic teasing a new 4K LED TV, the approval of 4K Blu-ray discs and the latest, high-end headphone from B&W. Reviews were streaking in this week with our verdicts on the latest wireless headphones (AKG K845BT, Bose AE2w), and a review of the excellent Canton DM 50 soundbase. With interest in 3D flagging, 4K TV appears to be the bandwagon TV manufacturers and content providers want to get on. And at the Las Vegas CES show, Panasonic revealed its new prototype 4K TV, claiming they could provide plasma-like images with LED technology. And it looked good. With Panasonic in the midst of shutting down its plasma factories, could the legacy of plasma TVs live on in its 4K tellies? Read on for our first impressions. If you're a fan of B&W's more expensive selection of headphones, then you're in luck. The company has revealed another version. On sale now for £330, the Maserati-branded P5s follow in the footsteps of the very, very expensive B&W 805 Maserati Edition speakers. Although they don't differ much from the standard form factor of the standard P5s, they do come in Maserati's deep racing blue colour and are finished in fine-grain natural leather. We reported last year that the Blu-ray Disc Association (BDA) were looking to ratify plans for a new 4K Blu-ray disc and it seems now the BDA has approved those plans. Representatives from Sony, Dolby and Disney, as well as others, have put together a working group to try and figure out a way of producing the discs, with the hope that they'll be out by the end of year. We like AKG headphones. We really do. So we weren't surprised by either the look or sound of these new wireless heapdhones. And while there were a few niggling issues concerning functionality, AKG has come up trumps with the K845BT cans. So if you're looking for an excellent pair of Bluetooth headphones, we'd heartily recommend you give these a listen. Soundbases. We're pretty sure you must have heard about them by now. If you haven't they're the new (sort of), innovative (kinda), speaker that sits under your TV and belts out sound. They're like soundbars… but squarer. The simplicity, ease of use and sizeable sound of the Canton DM 50 makes it a match for soundbars and if you're looking for the best of the first batch, it would be hard to argue against the DM 50. Another review of a Bluetooth headphone brings us to Bose's AE2w. Despite the slightly odd look of the removable Bluetooth module, there's much to recommend with these pair of cans. While they won't trouble our Award-winning Philips Fidelio M1BT 'phones, they're a decent pair of wireless headphones that deserve to be considered.